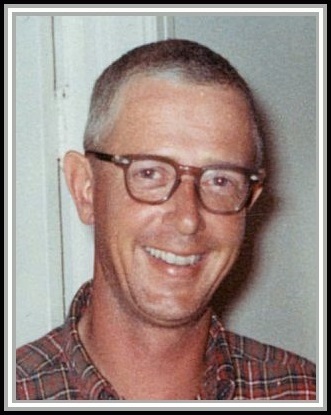 Commander Daniel T. Holly, Jr., USN, 583459/1100 was born 23 October, 1931 in Ontario, Oregon. He attended Boise Junior College and the College of Idaho, graduating from the latter in 1953 with a Bachelor of Science degree in Zoology. After being commissioned as an Ensign, USNR, upon graduation from Officer Candidate School, Newport, Rhode Island in April 1954, Commander Holly attended Naval CIC Officer School in Glenview, Illinois. From October 1954 to March 1957, Commander Holly served as CIC Officer on the U.S.S. ALFRED A. CUNNINGHAM (DD752). This was duty followed by a twenty-seven month tour as Personnel Officer on the NATO staff of Commander, Naval Striking and Support Services Southern Europe in Naples, Italy. After augmentation to USN and completion of the General Line Course, U.S. Naval Postgraduate School, Monterey, California from August 1959 to 1960, Comander Holly was assigned for two years as Executive Officer of the U.S.S. Locator (AGR6). Following a three year tour as a Chemistry Instructor at the U.S. Naval Academy from July 1962 to June 1965, Commander Holly was ordered to the U.S.S. Preston (DD795) for duty as Executive Officer. From 12 January, 1967 to 31 December, 1968, Commander Holly served as Commanding Officer of the U.S.S. Savage (DER-386). A twenty-nine month tour as Assistant Naval Operations Officer on the Joint Staff of the Commander in Chief Pacific, in Hawaii followed. He obtained his rank of Commander on 1 December, 1967 during that tour. Commander Holly was then assigned as Commanding Officer U.S.S. Gurke (DD783). He next went to a staff billet in Hawaii, leaving the Gurke in November 1972. Vietnamese Cross of Gallantry with Palm earned while he was in command of the Savage. LCDR John D. Stensrud LCDR Daniel T. Holly, Jr. LCDR Joseph S. Buggy, Jr.